YHL Parks is teaming up with renowned park home and lodge manufacturer Prestige & Homeseeker Park and Leisure Homes at the Caravan & Motorhome Show 2019. Family-run York House Leisure (YHL) owns and operates immaculately-maintained holiday parks in tranquil and picturesque sites across North Yorkshire. The company will be exhibiting on Stand 3-205, giving visitors the chance to discover more about their luxury lodges and holiday homes. All their holiday parks have good amenities and offer the ideal base from which to explore some of North Yorkshire’s most attractive towns, villages, pubs, shops and attractions, not to mention the stunning scenery of the North York Moors, the North Yorkshire coastline and the Yorkshire Dales. More than 30,000 people are expected to attend the Show, which runs in Manchester for four days from January 17th-21st and offers lots of inspiration to anyone interested in buying caravans, motorhomes and holiday homes in 2019. Director of York House Leisure, Phil Brierley, said: “We are regular exhibitors at the Caravan & Motorhome Show and are delighted to be attending again this year. It’s one of the largest shows of its kind and we always get a great deal of interest in our luxury lodges and holiday homes. Visitors seem to love the fact that our parks offer high quality accommodation in some of North Yorkshire’s most picturesque locations, within easy reach of a range of attractions and activities. York House and Abbots Green holiday parks are set against the spectacular backdrop of the North York Moors and are close to the market town of Thirsk. The lodges and holiday homes are within easy reach of historic York, the beautiful spa town of Harrogate, the cathedral city of Ripon and the quaint market town of Knaresborough. Nearby Monk Park is a little gem with just 22 pitches offering superb views of the Hambleton Hills. 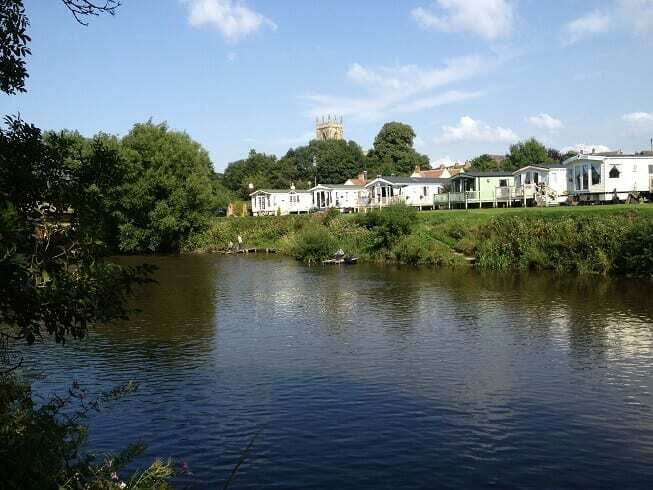 Swaleside Holiday Park, near Topcliffe, offers exclusive fishing rights on its stretch of the River Swale, while Old Hall is on the edge of the popular market town of Boroughbridge. Quarry Moor and New Park are tranquil residential parks near Ripon, offering excellent accommodation exclusively for the over 50s. For further information, please contact York House Leisure on 01423 323190.